The European Business Awards are Europe's largest cross-sector and independent competition for industrial, service and commercial companies. It nominates EU companies which are pioneers of excellence, best practices and creativity in their industries and whose philosophies could be exemplary for the European idea. The aim of the European Business Awards is to draw attention to companies and their ethics and merits, and the promotion of successful economic community and community of values ​​within the EU. Therefore an ethical entrepreneurial practice is one of the most important evaluation criteria of the competition. A total of around 24,000 companies from 33 EU countries participate in this competition. The international jury works voluntarily and is composed of European entrepreneurs, managers and scientists. HELLER-LEDER was the German Champion. The ECO Design Award is marking the pioneers in the field of ecological design. HELLER-LEDER is awarded this prize in the category "product" for its Blattwerk-collection. The "Blue Angel Prize" was awarded by the German Sustainability Award Foundation in cooperation with the Federal Ministry for the Environment, Nature Conservation and Nuclear Safety, the Environmental Protection Agency, the Jury of eco-labelling and RAL gGmbH in Düsseldorf on 22 November 2013 within the framework of the German Sustainability Award. HELLER-LEDER was selected as a prize winner by the jury of the German Sustainability Award out of three nominees. 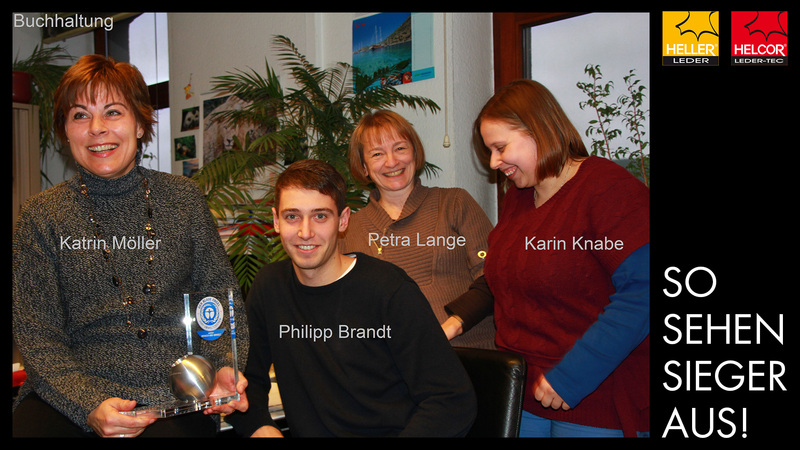 Win of the 2013 sustainability prize "The Blue Angel Award". 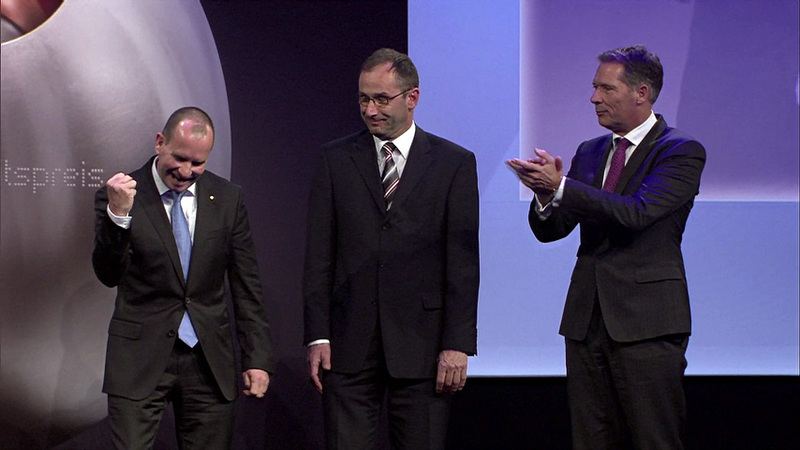 Report on the award ceremony held in Düsseldorf. Brochure on the German Sustainability Award 2013 with a greeting from the Federal Chancellor Angela Merkel. The employee slideshow to win the sustainability award. Sine 1994, the "Grand award of the Middle Class" is the only economic prize in Germany. It looks not just at economic figures, innovations and jobs but at the entire company set up - including its part in the surrounding society. In 2013 HELLER-LEDER was nominated by the Landkreis Holzminden (the administrative district where it is located) for this award and ended up as finalist of the area of Lower Saxony and Bremen. Every 2 years the International Furniture Fair INTERZUM takes place in Cologne. In the run-up to the fair an international jury, selects particularly high-quality and innovative products among all those exhibited and awards them as part of a festive ceremony at the eve of the fair. HELLER-LEDERs innovative "Blattwerk" collection, based on tanning with olive leaves, is awarded as "very high product quality" rating. Since 2011, the news channel n-tv has been staging the silent heroes of the middle class every year. The "Hidden Champion" prize is awarded to companies who have made an outstanding contribution to the success of the German economy. 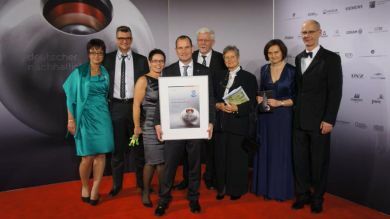 In 2012 HELLER-LEDER was award winner in the category "sustainability". The German Sustainability prize has been awarded annually since 2008 by the German Sustainability Association Foundation in cooperation with the Federal Government, local government associations, economic associations, civil society organizations and research institutions. National top achievements of sustainability in industry, municipalities and research are honoured with the German Sustainability Award. With six competitions, more than 800 applicants and 2,000 guests. It is the largest award of its kind in Europe. The aim of The Foreign Trade Prize is aimed at recognizing Lower Saxony companies which act successful on foreign markets and achieve top performance in international competition and as well as honoring their extraordinary achievements. In 2012 this prize is awarded for the third time. HELLER-LEDER was nominated for this prize. At the APLF in Hong Kong, the "Best of APLF Award" is presented each year in various categories. A jury is choosing articles, ideas or exhibitors which are particularly in line with the trend. 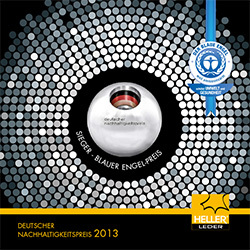 In 2012, HELLER-LEDER receives the award "Best New Leather" for the olive leaf-tanned Blattwerk-leather. 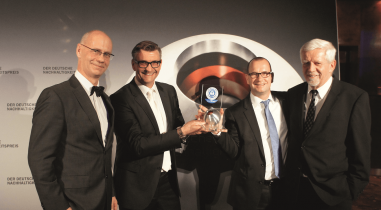 With the Querdenker Award, the 30 most innovative companies and forward thinkers are awarded in six categories each year. 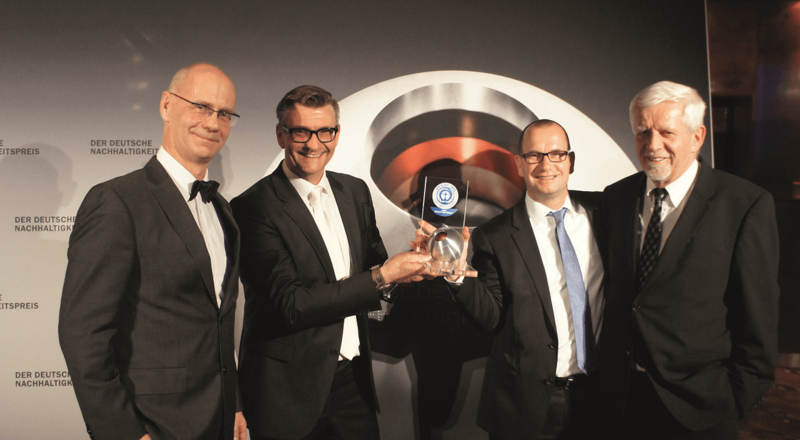 HELLER-LEDER was finalist in the category "market leader" in 2011. For the first time, the leading trade magazine "Leather World" awarded the "Tannery of the Year" prize in 2009. In all 10 tanneries were nominated in each of the following six regions of the world (Europe, South America, Central and North America, China, rest of Asia, Africa) .Two finalists were selected from each region to move up into the final. The selection criteria for the "Tannery of the year" award are: environmental protection, social responsibility towards employees and the work environment, behavior towards suppliers, customers and business partners, strategic and financial orientation, focus and strength of the company. 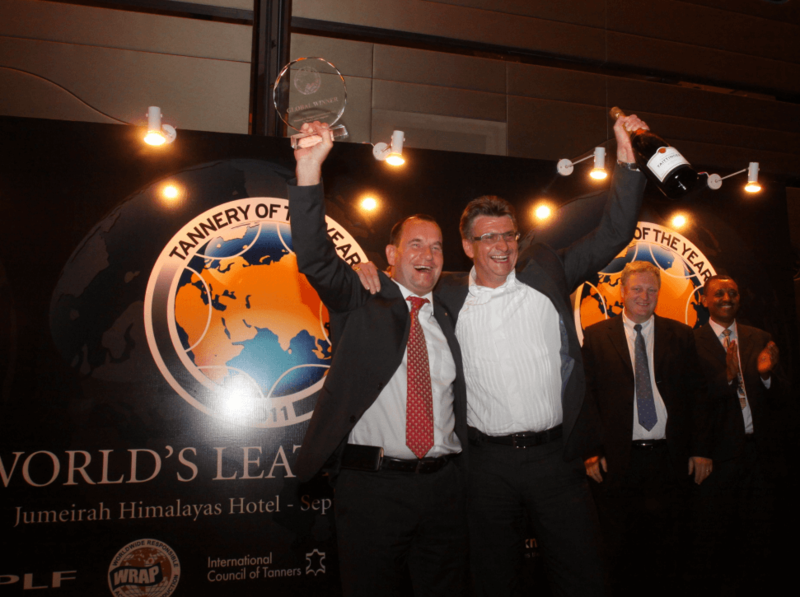 HELLER-LEDER was awarded as "Tannery of the Year" in 2011. On 22 June 2010, Ursula Heinen-Esser, Parliamentary State Secretary, awarded the first Blue Angel ever for low-emission upholstery leather to HELLER-LEDER. During the certificate presentation in Berlin, Mrs. Heinen-Esser said, "I am very pleased consumers are now able to purchase furniture made from leather which is free of health harming pollutants and is environmentally friendly in its production as well as in its disposal".